Twice lately I’ve encountered the disturbing implication that, because an incident wasn’t searchable on the internet or hadn’t been documented in a photograph, the incident had never occurred. One incident involves a rumor that I don’t wish to feed, while the other incident was a murder: the person searching for facts was understandably distressed that the crime had received little attention. What concerns me is the perception that reality can be determined by a Google search: if there are no results, it just didn’t happen? It seems absurd to infer that something didn’t happen simply because someone failed to document it. True, artifacts and written records give us valuable clues about the past; we would know little about ancient civilizations without physical remnants or recorded memories. Indeed, the desire to preserve memories through paintings or portraits is inherently human. But, given the extent to which photo-taking has infiltrated the twenty-first century, we may have gone too far in our desire to document our lives. Cameras are everywhere, and I do mean, everywhere: on music players, computers, video game systems, and, of course, on our mobile phones. When I leave the house, I need to have my phone with me as much because it contains a camera as because I might get a text or call. What if I see something intriguing or lovely while I’m out? What if my son does something quirky or cute? What if I see a garment at Target that my daughter might like? When I was a child, cameras came out on occasions like holidays or Halloween, birthdays or gatherings. Developing film was expensive, and putting those photos into scrapbooks was time-consuming. 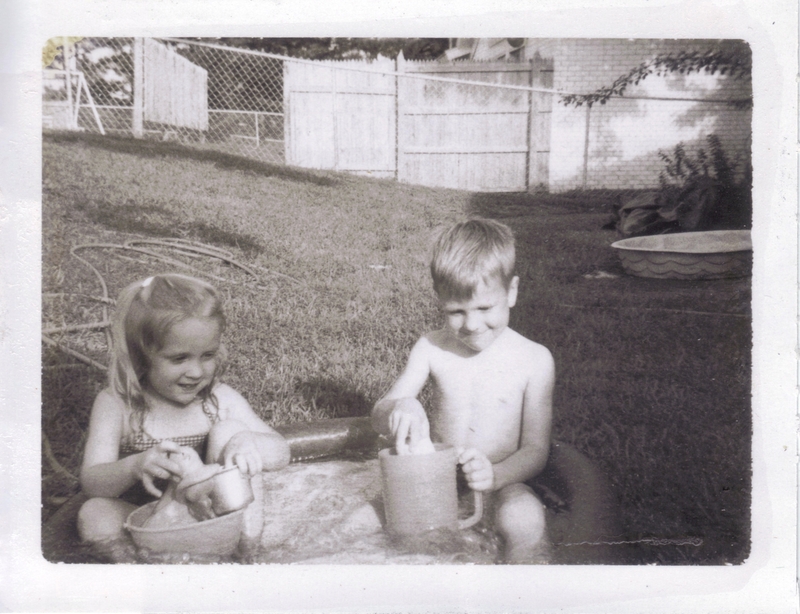 My mother took some photos of us in the sandbox or on the swing set, but many pictures feature us wearing Easter clothes, looking into Christmas stockings, going to the zoo, or blowing out candles. 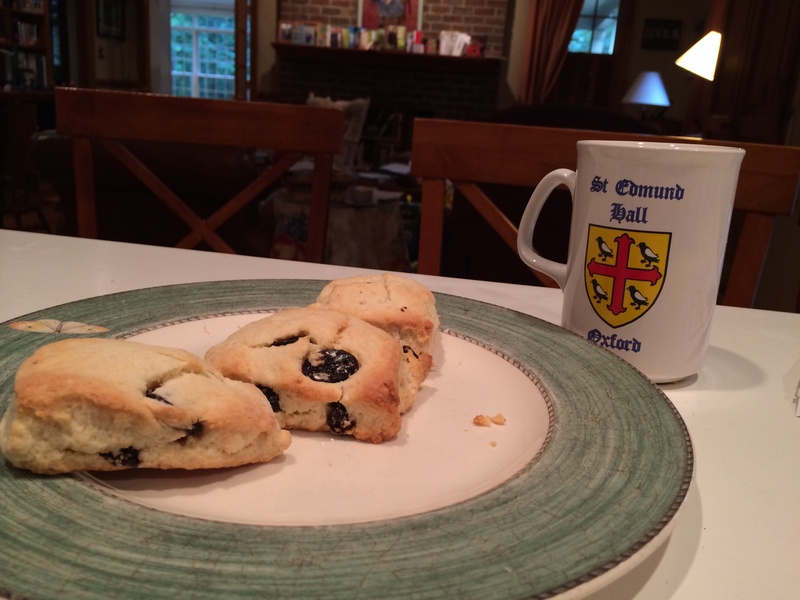 Fresh scones made by my daughter Emily surely merit a photo. Today, we take pictures of everything: happy moments, sad moments, meh moments. Those special occasions still get more attention from cameras, but even formal portraits no longer require formal clothing. Far more pictures are taken of the ordinary things in life — food, pets, house plants, clothing, home decor. We photograph everything. None of this is bad in itself. The tagline for my other site is “celebrating beauty in creation,” and beauty can be found in many ordinary places or things, not merely within the realm of the sublime or the magnificent. Recently, I wrote a post about two contrasting fall photos: I preferred the artistic picture of a new leaf to the jumbled leaves on a sidewalk, but my readers pointed out that both pictures had a kind of beauty. Beauty can be found in a diamond or in a dandelion. Our constant access to cameras makes us more likely to find beauty in the small or mundane things, and that is good. But, is my camera getting between me and my enjoyment of life? Is my incessant picture-taking keeping me from interacting with others because I’m so anxious to make sure this moment gets “recorded”? If it wasn’t photographed or documented on social media, did it happen? YES, it did, but sometimes I forget that. I have even found myself planning a hike to a scenic spot so that — it hurts to confess this — I’ll have a new cover photo for Facebook. 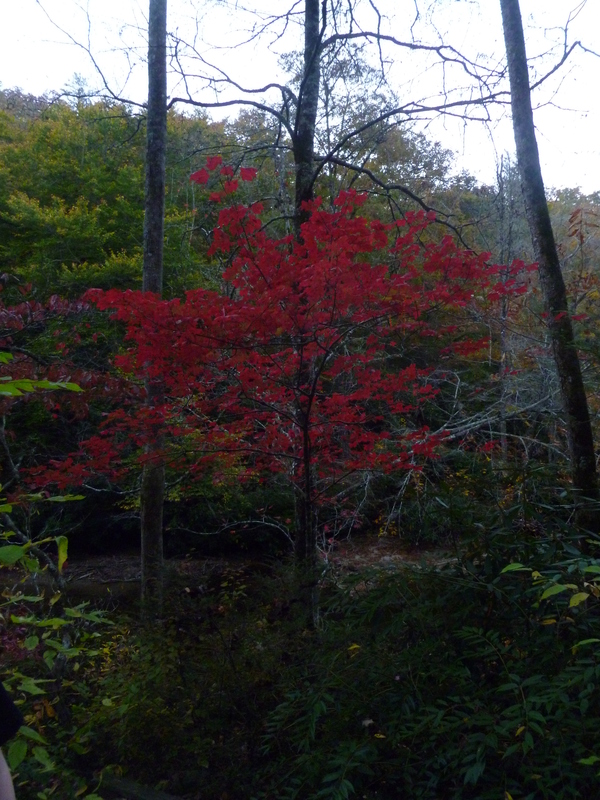 I am glad to have my pictures later, but, whether or not I take a picture of a maple tree with leaves so brilliantly scarlet that they diminish everything else, the tree is still beautiful and still real. 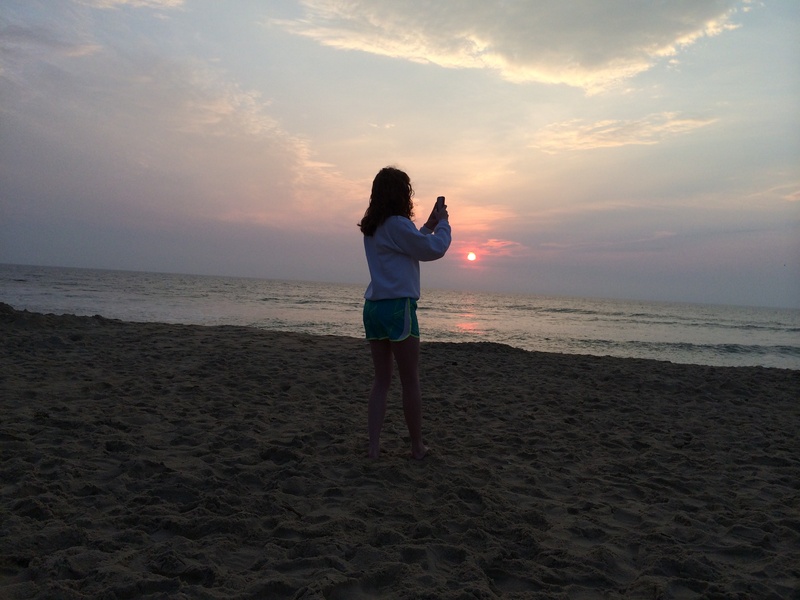 This summer, as my daughter photographed the sunrise with her phone, I took a picture of her, with mine. 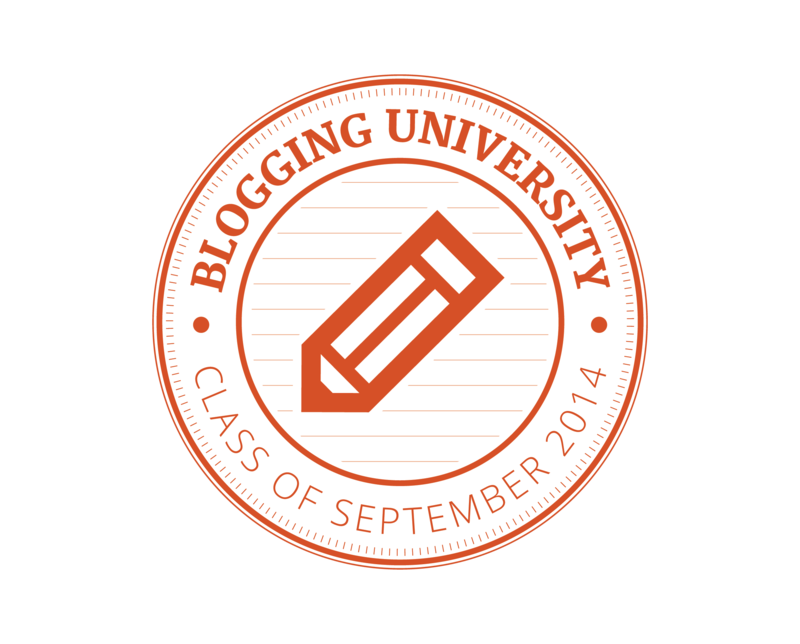 Granted, self-presentation is a key aspect of life in the online age. It’s not wrong to take pictures of breathtakingly beautiful sunsets or to record special performances like dance recitals, nor is it wrong to share those beautiful memories with others. But when I find myself panicking because I’m afraid I’ve left my camera at home — freaking out, in fact, as I did a few years ago on the way to my oldest son’s high school graduation — it is time to assess what is more important: enjoying the graduation, even if I have no pictures to treasure later, or making myself a nervous wreck because I’m not able to “capture” the moments. My middle child–shown here with my mother-in-law–seems to have survived the trauma of having a baby book with few photos. The truth is, we cannot capture the moments. The moments will happen, and then they are gone. I do remember bygone days better if I have pictures of them, and my children love looking back at pictures of themselves when they were toddlers. How thankful I am that my mother somehow found the time to put those 60s and 70s photos in her scrapbooks! (One of the advantages of being an older child in my family is that my baby book has lots of pictures.) I didn’t do so well with pictures of my kids: my third child — beloved though he is — proved to be the straw that broke this camel’s back, and I have never caught up with my photo albums since his birth (he turns 19 today). I’m thankful for the pictures and for the memories. 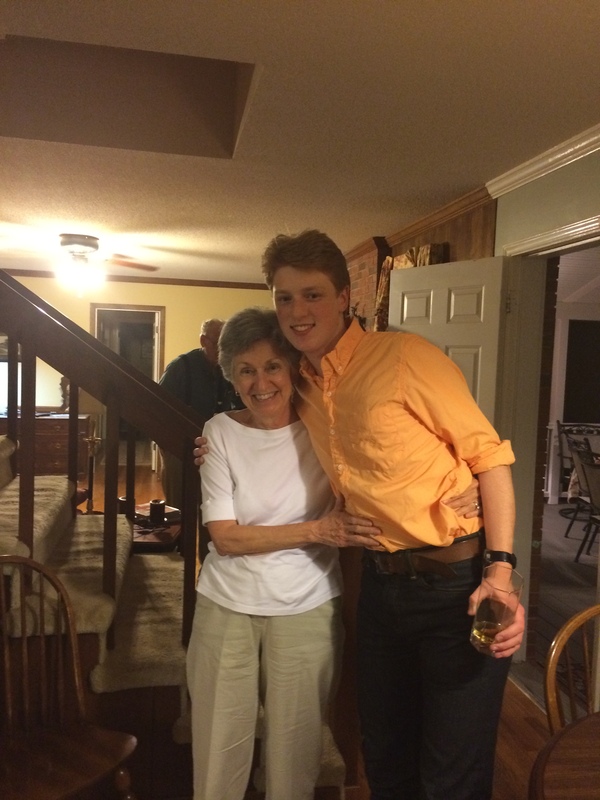 But, as my mother reminded me during that tense drive to my son’s graduation, what matters is to be in the moment, to enjoy the people and the places around you face-to-face and not solely through the camera’s screen. By the way, I did have my camera with me, and I took lots of pictures at my son’s graduation. But I also made myself a little crazy, trying to get pictures of everything and everyone. I love to document things. As with everything else in my life, I need to find that elusive balance where cameras are concerned. Afterword: If you have time, please read through some of the thoughtful comments that my readers have left here. You can read more here about how digital cameras may be affecting our memories (thanks for the link, Michael). Your post made me smile as I have had similar times like you when I have been ‘freaking’ out because I forgot my camera (or phone with camera). And thanks for being so honest about the hike for the FB pic! Gave me a laugh. Thanks for your post. My kids, who have children of their own now, are the ones who told me to just enjoy the moment and put the camera down. Much as I love taking pictures, my camera can get in the way of life at times. Michael, that is disturbing to hear. I’ll have to check out the Radio Lab link. That’s funny because I was weirded out to see your post after seeing the Radiolab item – which I now realize I never finishing reading and still haven’t; none of their technology solutions looked very interesting to me on quick glance. I have been struck at how my my wife seems better at remembering all the non-video’d events in our kids’ lives – I do a lot more photo-ing, video-ing, and am sometimes sad to feel like all my clearest memories are actually memories of watching videos or viewing photos again and again. So, for me, the digitally preserved memories get etched in very strongly, but I wonder if I’m thus not as good at remembering the old-fashioned way. At least you are aware that our ‘in the moment’ experience is altered – evrn sometimes tainted by – using a camera. I admit I now go places with the intention of taking photos for a blog post. But I also intentionally leave all electronic items behind on other jaunts in order to be immersed. We have lived eons without an electronic sidekick and it is still possible to do. You control that decision! As for your ”it’s not documented, did it happen?’ – there are facts and there is human recall. Facts shouldn’t change at a given point in time, but human recall is as individual as each human witnessing an event. As for ‘it’s not on Google, it must not be …” Or “It’s on Google, it must be true.” Don’t even get me started on our woeful lack of critical thinking !! Thank you, Sammy–for the clever compliment and for the wisdom. I should start leaving my camera at home deliberately sometimes. Of course, I am not a photographer–for someone who is, the camera is really a means of creating art. For me, it’s about chronicling my family and my life–but there is a balance, sonewhere. This is such a fascinating concept! i think, in general, I’m happy to have the over-documentation. Probably the excess will sift through and be lost, but so much of value will be preserved. 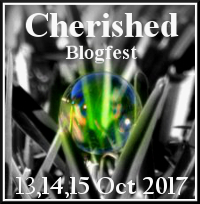 I rather hope my blog will be a place my family members can go online to see things long gone, loved-ones long dead, homes left, pets deceased, events forgotten. I found myself thinking on this lately when my son got engaged. He asked a friend to be present to photograph it, and the photos are lovely. I feel privileged to be able to see his expression, her expression, their kiss. then I contemplated my own moment of engagement to Adam, and how only he and I know how that went, what was said. There’s no real record except in our memories, and in how we’ve told the tale to others. Which way is better? I don’t know.